How much power does the AV42 have? What accessories come with the AV42? Do the AV42 speakers needs to be used with a computer? 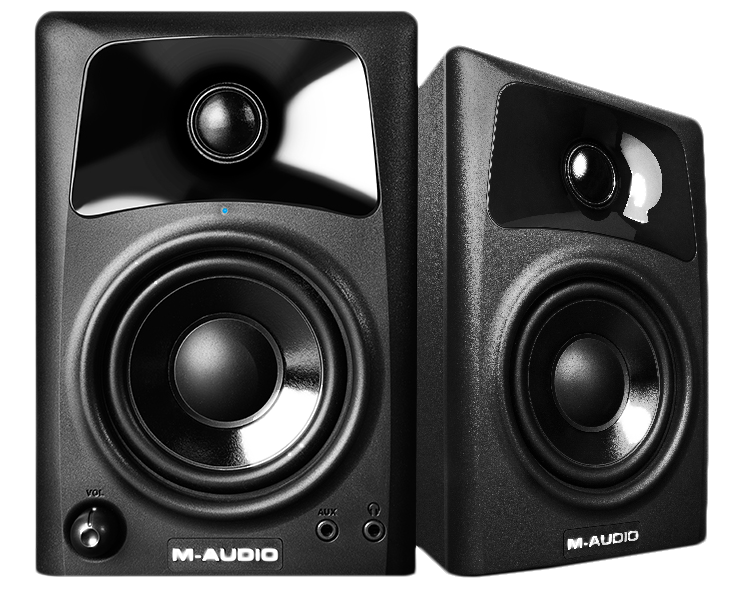 The M-Audio AV42 has a 20-watt per channel amplifier with Class A/B architecture. What accessories come with the AV42 ? The AV42 includes an IEC Power Cable, Speaker Wire, Audio cable (RCA to 1/8” TRS), an additional Audio cable (1/8” TRS to 1/8” TRS), and acoustic pads for placement on the bottom of each speaker. Do the AV42 speakers need to be used with a computer? The M-Audio AV42s have RCA inputs for connecting gaming systems, DJ gear, mixers, computers and more. As long as your device has a RCA output, the AV42s will work great! The AV42 has an auto-switching power supply. This means they will automatically adapt to the voltage needed for the area that you are in as long as you obtain and use the correct cable to connect to the wall power supply.